The full Trade Show agenda is available at the IPCPR website. As those executives operating cigar companies know, the Department of the Treasury's Alohol and Tobacco Tax and Trade Bureau (TTB) has authority to regulate the entry and distribution of cigars in the United States, and the collection of Federal Excise Tax (FET). The TTB's Audit Division was created in 2001 to verify that cigar companies are paying the correct amount of FET, especially when the taxes were significantly increased in 2009 with the implementation of the Children's Health Insurance Program Reauthorization Act of 2009 (CHIPRA). The TTB Audit Division typically does on-site examination of documentation, including the Monthly Report - Tobacco Products or Processed Tobacco Importer (TTB Form 5220.6). When you buy a "Cuban" cigar, you should know it is not from Cuba, especially since importing products from Cuba is illegal because of the U.S. embargo with Cuba. 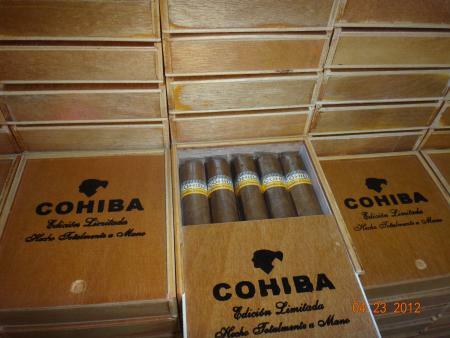 Nevertheless, there are lots of counterfeit Cohiba and other brands being sold on-line and in the United States. 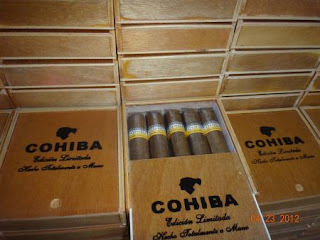 U.S. Immigration and Customs Enforcement (ICE) of the U.S.Department of Homeland Security investigates and arrests people trying to evade the embargo by importing Cuban cigars, and even counterfeit cigar sales are prohibited by 18 U.S.C. 2320 (trafficking in counterfiet products). For questions or comments about cigars, TTB or CBP, please contact me.